Get a comprehensive tour of the Hermitage on this guided tour. Meet your guide at your cruise ship or hotel and travel by private van to the Hermitage. 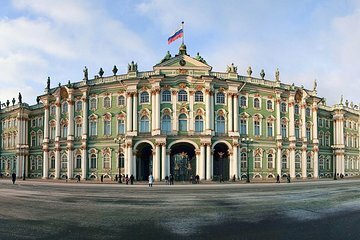 Explore all of the Hermitage’s buildings, including the Winter Palace, Small Hermitage, Old Hermitage, New Hermitage. In the company of your guide and a small group, see artwork by da Vinci, Michelangelo, Raphael, Veronese, Tintoretto, and Tiepolo.